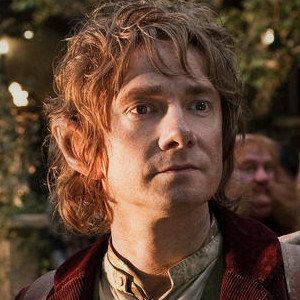 During Comic-Con a few weeks ago, Warner Bros.' reps were quick to dispell rumors that director Peter Jackson wants to make a third movie after The Hobbit: An Unexpected Journey and The Hobbit: There and Back Again. Today we have video from the Comic-Con floor, where Peter Jackson confirms that talks are ongoing with Warner Bros. to shoot additional footage. Here's what he had to say, adding that he didn't know if extra footage will be used for extended editions, or a trilogy-making third Hobbit movie. Yesterday, we reported that the filmmaker and Warner Bros. are currently in "accelerated talks" to make a third movie happen sometime next summer. Along with the rights to J.R.R. Tolkien's novel, the filmmakers acquired rights to the author's appendices, unpublished notes that expand this Middle Earth universe even more.